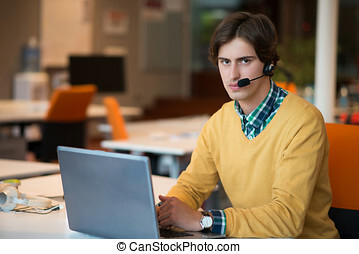 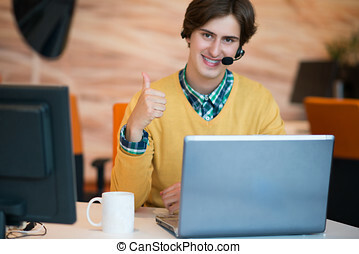 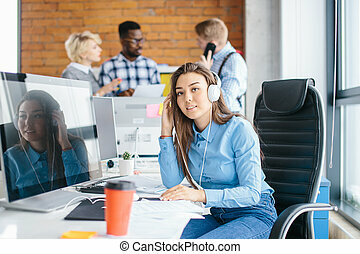 Portrait of beautiful happy young manager sitting in headphones at office desk. 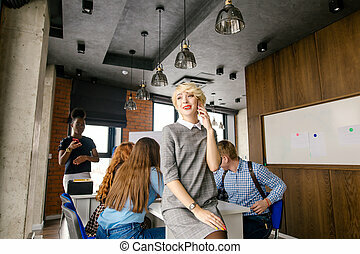 work in loft interior. 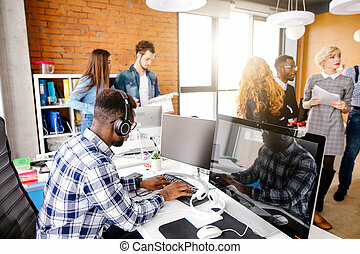 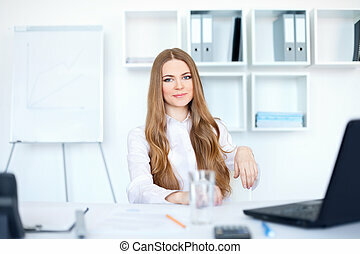 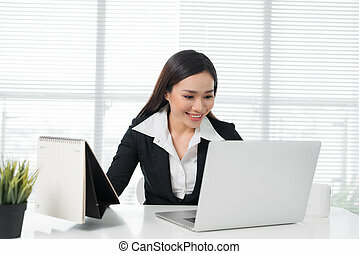 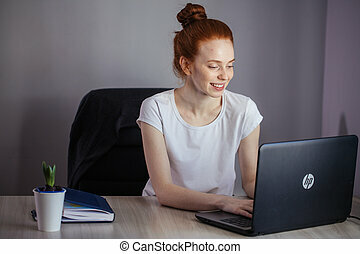 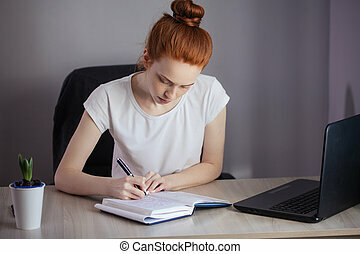 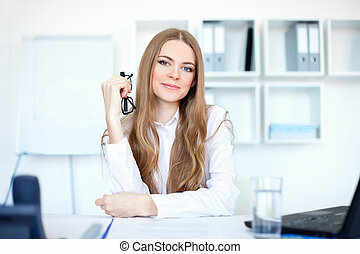 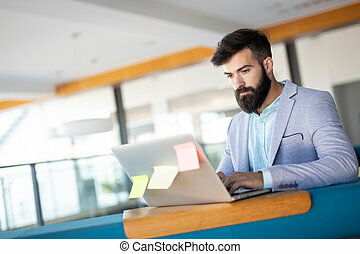 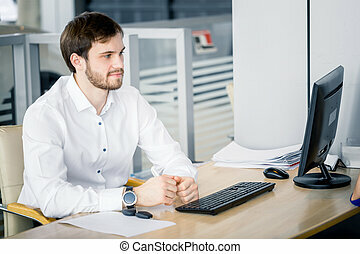 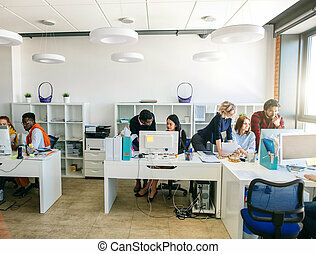 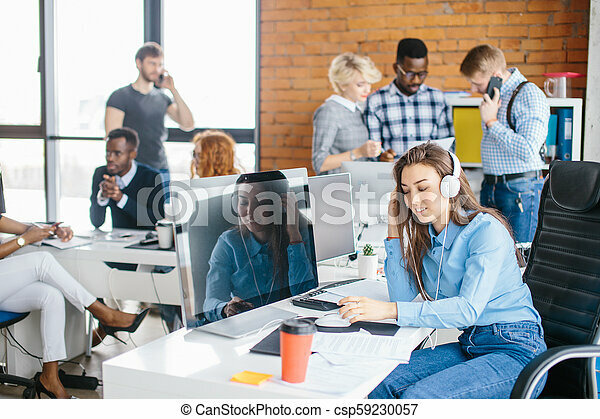 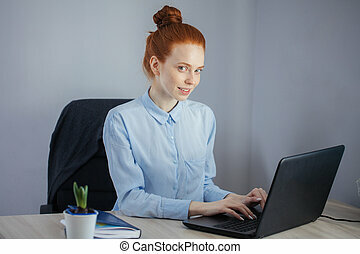 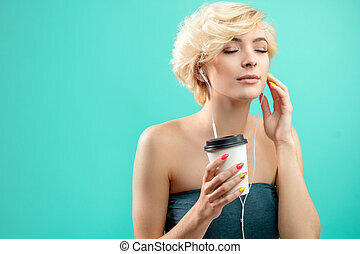 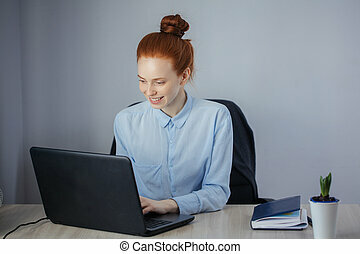 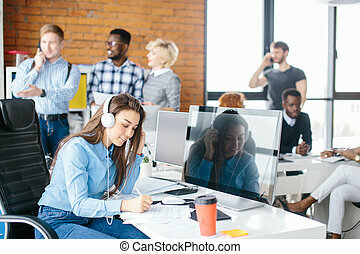 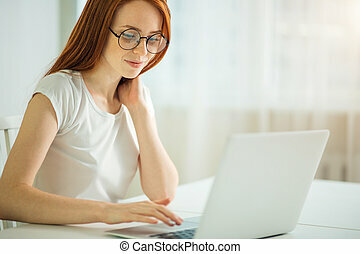 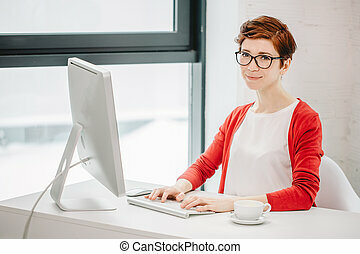 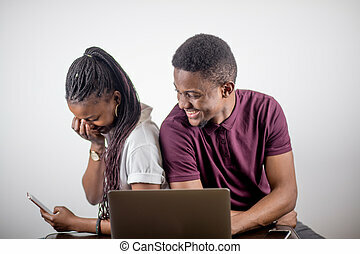 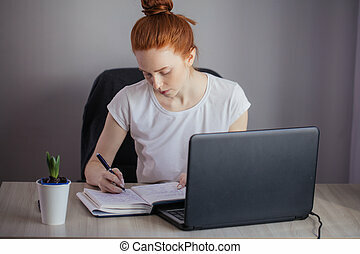 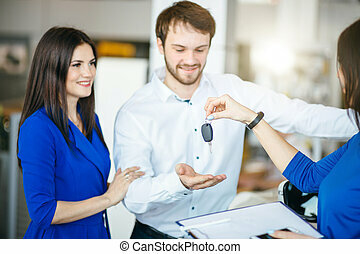 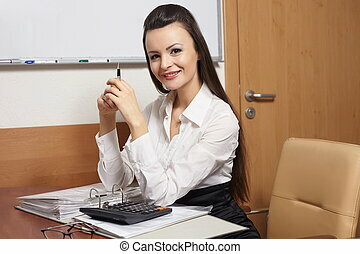 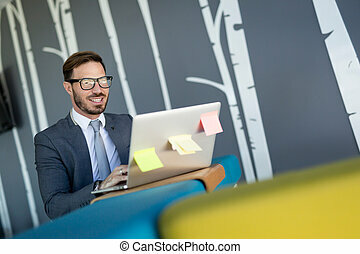 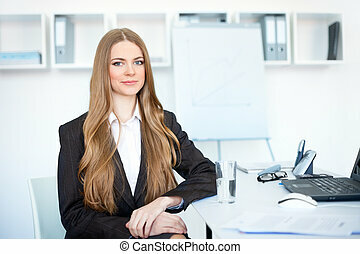 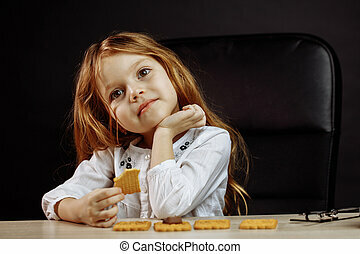 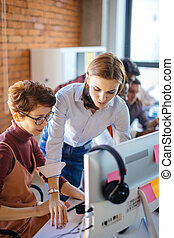 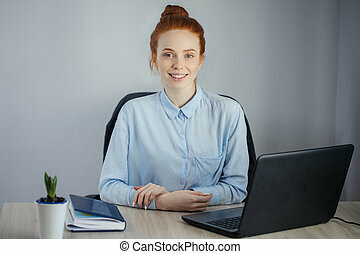 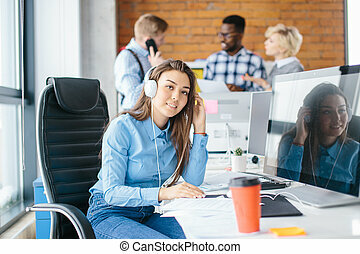 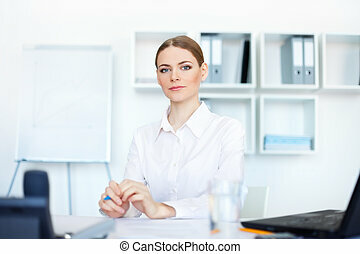 Beautiful young businesswoman sitting at office desk in front of laptop. 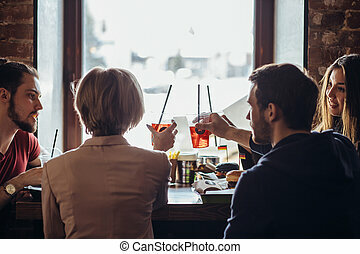 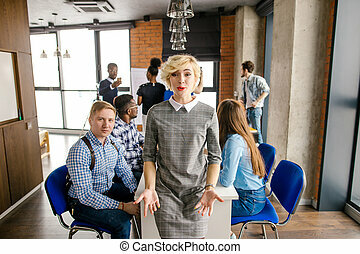 Back view of cheerful company of young happy gyus and girls talking while sitting at bar counter in a modern urban cafe near the window at daytime. 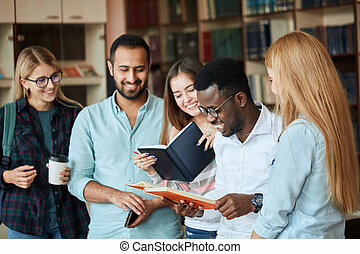 Portrait of young multicultural friends reading books together standing over bookshelves background at library hall. 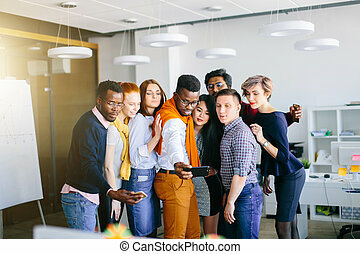 Friendship and Education concept.